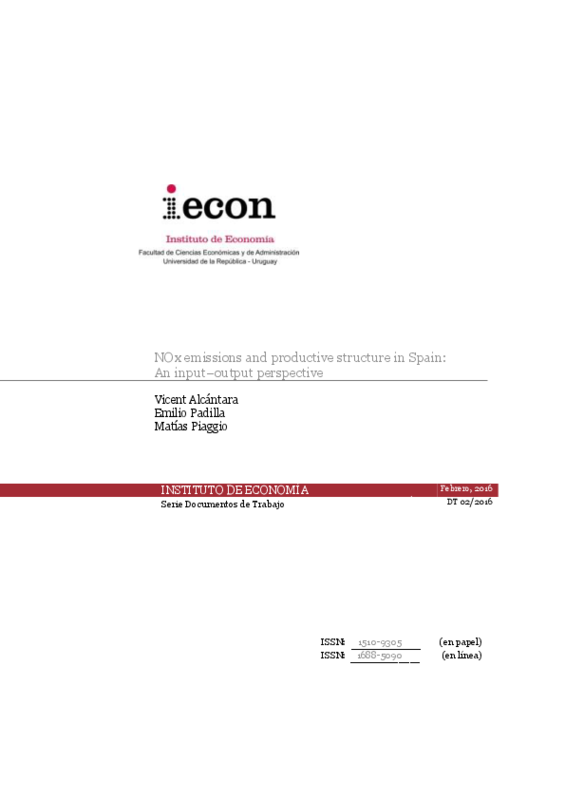 We analyse the NOx gas emissions of different productive sectors in Spain. Using input–output analysis, we study all sectors as subsystems of the economy and classify them according to the explanatory factors of their total (direct and indirect) emissions. This classification provides guidance on the type of policies that should be developed in the different sectors with the aim of mitigating NOx emissions. Some sectors that seem less important when looking at their direct emissions turn out to be highly relevant in terms of their total emissions. The results indicate that demand policies can be effective in these sectors, especially in construction, but also in some service sectors that do not appear to be important polluters at first sight. These policies can complement technical improvements and best practice measures applied to directly polluting sectors.